Opis: The most active part of the Orion Nebular Cloud Complex is an area known as the Kleinmann-Low Nebula. There, a cluster of young and forming stars is embedded in a molecular cloud filled with dust. 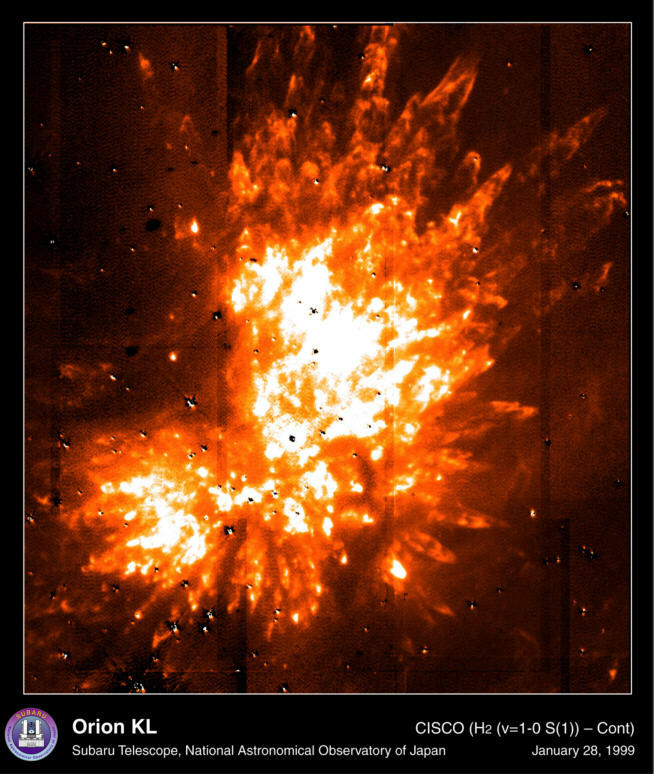 In visible light, the dark dust blocks much of Orion KL's light, but in the infrared light of the above photograph, the area seems literally to explode. 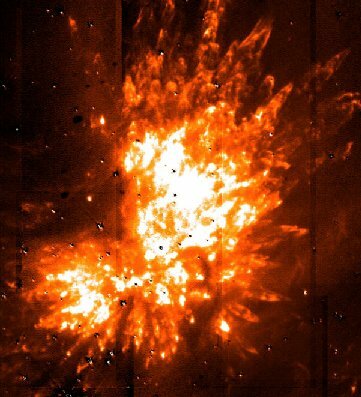 Hot stellar winds flowing off massive young stars in Orion KL region permeate and heat surrounding gas, causing finger-like intrusions. Near the center of Orion KL is IRc2, a particularly active star estimated to have over 30 times the mass of our Sun. Radio telescopes have recently detected unusual emission from water molecules - maser radiation from the Kleinmann-Low Nebula.